The line between academia and scholarship on the one hand and punditry and activism on the other has become increasingly blurred in Canada, especially in the wake of the coalition-prorogation crisis of December 2008. Recent works like Democratizing the Constitution: Reforming Responsible Government are emblematic of the attempt, as well as the failure, to reconcile the mutually exclusive concepts of political activism and constitutional scholarship. A spin off of that book, Lori Turnbull’s column “A three-peat for prorogation? Bring on reform” in the Globe and Mailalso effectively underscores this problem: sometimes the correct academic argument becomes an obstacle to effective activism. The article makes at least two factual errors and, more broadly, purports a serious conceptual error of interpretation about the nature of crown prerogative and the role of unwritten convention in Canada’s constitution. Technically, the power to prorogue belongs to the Crown and can be exercised “officially” by the governor-general alone, but this would never happen without the advice of the prime minister. No Canadian governor-general has refused a prime minister’s advice to prorogue. So history would suggest that the prime minister, not the governor-general, calls the tune, regardless of where the power lies constitutionally. This is not the case in other Westminster jurisdictions. The Supreme Court of Canada recognized in the Patriation Reference that “constitutional conventions plus constitutional law equal the total constitution of the country.” Therefore, constitutional conventions and the written constitution form equally important parts of Canada’s constitution. The Supreme Court cannot use one part of the constitution (like the Charter) the strike down another part of the constitution (like crown prerogative or parliamentary privilege). The Constitution Act, 1982 mentions that the governor general dissolves parliament, but the Letters Patent, 1947 provide the only complete written instruction that the governor general summons, prorogues, and dissolves parliament. By convention, the governor general cannot exercise any of those powers independently and does so only on the advice of the prime minister. According to the Manual of Official Procedure of the Government of Canada, the governor general’s reserve powers may allow him to reject the prime minister’s advice to dissolve, but not to prorogue or summon, parliament. The rejection of the prime minister’s advice does not equal independent gubernatorial action. Strictly speaking, “the Crown” consists of two parts, what Bagehot called the “dignified” and “efficient” functions, respectively: the Sovereign and governor general, and the prime minister and cabinet. Thus, “crown prerogative” follows this division; the sovereign or governor general possesses “reserve powers” (what I call “royal prerogative”), and prime minister and cabinet control the Governor-in-Council’s crown prerogative. Given the role of convention in Canada’s constitution, I disagree with Turnbull’s assertion that the governor general can “officially” summon, prorogue, or dissolve parliament independently. Turnbull states correctly that no governor general has ever rejected the prime minister’s advice to prorogue. Based on my analysis above, I find the next statement problematic: “So history would suggest that the prime minister, not the governor-general, calls the tune, regardless of where the power lies constitutionally.” (Isn’t the idiom ‘to call the shots’?) The “power lies constitutionally” in both the governor general and the prime minister, who in effect jointly exercise this crown prerogative. The crown’s prerogative powers to summon, prorogue, and dissolve in fact rest with both the governor general and the prime minister because the former only acts on the advice of the latter. 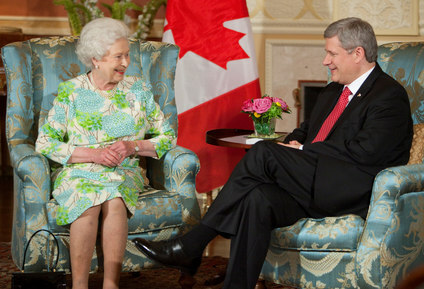 Any attempt to alter formally and substantively this relationship between the governor general and the prime minister – the crown as a whole – would require an amendment to Section 41 (a) of the Constitution Act, 1982 (“the Office of the Queen, Governor General, and Lieutenant Governor of a province”), which requires the unanimity of the Parliament of Canada and all 10 provincial legislatures. But more fundamentally, I disagree that the crown prerogative on prorogation should be eliminated and the power vested in the legislature, and ironically, this system would detract from the House’s”basic functions, including holding the government to account.” The government introduces most legislation, for which the opposition holds the government to account. The Prime Minister normally advises prorogation upon the completion of his government’s legislative program; the House’s basic function of holding the crown to account for its expenditures does not include the determination of the end of the government’s legislative agenda. Jarvis and Turnbull acknowledge in the conclusion of Democratizing the Constitution that their plan to eliminate the crown prerogative of prorogation and vest it in parliament via a two-thirds supermajority would require a formal constitutional amendment, but I think that they have greatly underestimated the difficulty in achieving unanimity under Section 41 (a) of the Constitution Act, 1982. Nevertheless, in her individual column, Turnbull argues that the Standing Orders of the House of Commons could formally constrain or eliminate the crown prerogative on prorogation. A political prorogation is a blatant abuse of a prime minister’s access to the Crown’s prerogative powers. As citizens of an elected democracy, we should not tolerate it and, with a few basic changes to the House rules, we wouldn’t have to [emphasis added]. “Other Westminster Jurisdictions”. Which Ones? Please Elaborate! Turnbull argues : “So history would suggest that the prime minister, not the governor-general, calls the tune [sic (‘Calls the shots’, perhaps?)] , regardless of where the power lies constitutionally. This is not the case in other Westminster jurisdictions.” In which other Westminster jurisdictions has the crown prerogative on prorogation been eliminated? As I explained in the entry on Alex Salmond’s vision of an independent Scotland, the Scottish Parliament has eliminated the crown prerogatives on the summoning and dissolution of parliament by codifying the fixed elections to and automated summoning of parliament in the Scotland Act, 1998. However, the Scotland Act makes no mention whatsoever of the words “prorogue” and “prorogation”, which means that rather than eliminating the crown prerogative on prorogation, it eliminated prorogation itself. I explained in my entries on fixed-elections in the Commonwealth that the Westminster Parliament has devised the Fixed-Term Parliaments Act, which eliminates the crown prerogative on dissolution. The Act also says in Section 6, Paragraph 1 that “This Act does not affect Her Majesty’s power to prorogue Parliament.” The Fixed-Term Parliaments Act, 2011 does not affect prorogation at all. The New Zealand Cabinet Manual and the website of the Governor-General of New Zealand indicate that the Governor-General summons, prorogues, and dissolves parliament on the advice of the Prime Minister. The website of the Governor-General of Australia shows that the Australian viceroy carries precisely the same functions. None of the Canadian provinces have eliminated crown prerogative on prorogation either. I’m quite certain that all six Australian states also preserved the traditional standard. So what other Westminster jurisdiction operates on the Jarvis-Turnbull principle that only a supermajority of two-thirds of the MPs in the lower house can sanction prorogation? I’ve only looked to the core Commonwealth, but I really wanted to know! Maybe Tuvalu or Jamaica do? And what does Turnbull mean by “Westminster jurisdiction”? I suspect that the phrase would only include legislatures within the 16 Commonwealth Realms that recognize Queen Elizabeth II as their Sovereign, but the vague term could also conceivably include any parliament within one of the 54 member-states (this figure includes the 16 Realms) of the Commonwealth of Nations, since they were all once part of the British Empire. Surely, the editors of the Globe and Mail could have accommodated a few extra words that elaborate on this argument. Prime Minister Harper Has Thus Far Advised THREE Prorogations, Not Two. Compared to the aforementioned significant conceptual errors, this statement seems minor. The Parliament of Canada provides an excellent repository of information on all of Canada’s 41 Parliaments, called ParlInfo. It compiles all statistics on the life of all 41 Parliaments, including every summoning, adjournment, prorogation, intersession, and dissolution in the history of the institution. More fundamentally, now that the PM Harper leads a majority government, why would he advise a prorogation before the completion of his legislative agenda? Turnbull’s column never adequately responds to this point. The Prime Minister will not advise a prorogation until his current legislation program has passed both Houses of Parliament and received Royal Assent. Turnbull herself acknowledges that “[Routine prorogations] occur when the government has fully implemented its current agenda.” Perhaps Turnbull fears that the intersession of the prorogation would become too long. But in a majority parliament, the Harper government would never employ what she terms a “political prorogation” in order “to muzzle opposition criticism, to escape parliamentary scrutiny.” Her argument breaks down at this stage, because the Prime Minister clearly would not request a prorogation in a majority parliament until his legislation program has received Royal Assent, and because the opposition cannot truly threaten the viability of the government; only the Conservative backbenchers can in this majority parliament. The 2012 prorogation would be substantively different. First, there is no obvious political land mine to avoid. Second, the Conservatives have demonstrated how majority status confers an immunity of sorts from even the most scathing criticism from the opposition benches. These factors make a potential upcoming prorogation less necessary from a political standpoint, but the fact remains: We live in a country where a prime minister can shut down the House, the pre-eminent institution of our parliamentary democracy, on a whim, for no particular reason. Essentially, the last quoted paragraph says, “I don’t like Stephen Harper, and therefore the rules by which prorogation is carried out should be changed.” This is what I mean by political activism as opposed to constitutional scholarship. The political activists use emotive words and phrases with negative connotations like “abuse”, “acting in bad faith”, “shutting down parliament”, etc. in order to justify their arguments and, more importantly, in order to portray anyone who disagrees with them as enablers of this “abuse.” This method therefore assigns a negative moral judgement to all those who disagree with the political activist’s arguments and attempts to portray those opposed as deceptive at best and evil at worst. This political activist’s tactic subtlety attempts to limit the parameters of acceptable discourse from the outset; in contrast, a true constitutional scholar would “follow the logos”, acknowledge the fair points of opposing arguments, and draw conclusions after examining all available evidence. The political activist defines his position and dismisses competing views as not only factually incorrect or conceptually flawed, but as morally wrong. In so doing, the political activist attempts to frame the debate and market his ideas in the media and to anyone who will listen. Ultimately, academics must choose: will they engage in true constitutional scholarship, or will they descend into punditry and political activism? In addition, once they have chosen, will they masquerade thinly veiled political activism as having produced true constitutional scholarship? As I described in the “about” section of this blog, the Coalition-Prorogation Crisis of 2008 galvanized me and motivated me to learn more about Canada’s constitution. At the time, the Conservatives made incorrect and inaccurate statements about the legality of coalition governments in the Westminster system; and the Liberal-New Democratic coalition that the Bloc supported made incorrect and inaccurate statements about prorogation, crown prerogative, and what constitutes a loss of confidence in the government. I reserve criticism for both sides. In “No Discretion”, Nick MacDonald and I offered a novel interpretation of prorogation and the nature of the reserve powers of the crown, which I hope has enriched the overall scholarship and academic literature. However, in the conclusion, we acknowledged the normative nature of some of the arguments and that they contradict how some of the events unfolded in reality– because that piece intended to offer novel constitutional scholarship that challenged the prevailing orthodoxy through an historical analysis, rather thinly-veiled political activism designed as a call to reform the system. While researching for my individual paper that contributed to “No Discretion”, a wise historian told me that in the wake of the Coalition-Prorogation Crisis of 2008, many scholars have conflated the political with the constitutional (in other words, used their political views in order to make an interpretations of the constitution) and thus failed to maintain the distinctions between the two. I could not agree more, and I would extend the distinction to one of constitutional scholarship vs. political activism. This entry was posted in Articles and Books, Crown (Powers and Office), Governor's Discretion, Reviews and Critiques and tagged "abuse of power", "bad faith", 2011, Democratizing the Constitution, dissolution, efficient and dignified functions, Fixed-Term Parliaments Act, Letters Patent 1947, Lori Turnbull, Manual of Official Procedure of the Government of Canada, Mark Jarvis, Nicholas A. MacDonald, Patriation Reference, political activism, prorogation, Romanticism, s.41(a), Walter Bagehot. Bookmark the permalink.